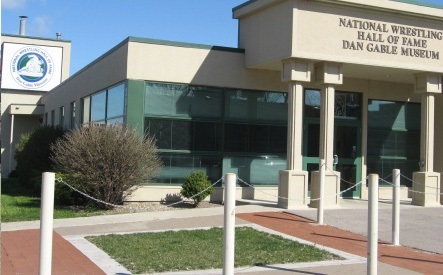 The National Wrestling Hall of Fame Dan Gable Museum provides an educational and entertaining look at the sport of wrestling at all levels. After being closed since September while undergoing a $1.4 million renovation, the National Wrestling Hall of Fame Dan Gable Museum in Waterloo, Iowa celebrate the completion of its renovation. Named for wrestling legend Dan Gable and located in a refurbished downtown section of his hometown, the museum has become a landmark in Waterloo and a world-class destination for wrestlers and fans. JIM GIBBONS: "There's a deep code in wrestling"
JIM MILLER: "Choose to be motivated"
JIM MILLER: "It's how you compete NOT who you compete against"
JIM MILLER: "Be ready to wrestle"